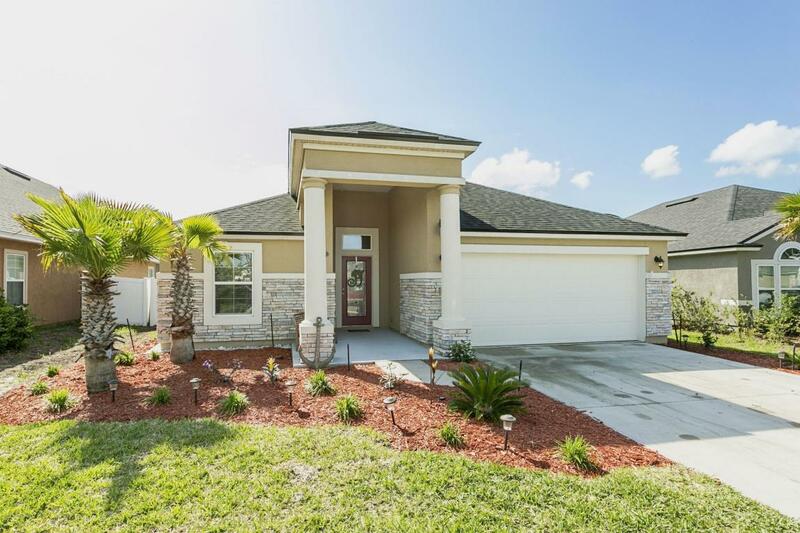 Don't miss out on this beautiful Yellow Bluff Landing home. Offering beautiful upgrades throughout the home and tons of space, it surely will not disappoint. With four spacious bedrooms, 2 bathrooms, an upgraded kitchen featuring granite counters, 42 in cabinets, and stainless steel appliances, and also a large food prep island/ breakfast bar. LARGE master, separate from other bedrooms, en-suite features dual vanity sinks, soaking tub, stand up shower. The community amenities are great as well. Pool, children's pool, playground, tennis and basketball courts, and much more! Come check it out TODAY!